Its been a while since I’ve had the time to blog. In fact, I have moved to Atlanta and I am focused on expanding my Child Care Business. I’ve also been traveling back and forth from Georgia to St. Louis checking on my centers. The plan to move to Georgia has been in my heart for five years and it feels great and sometimes scary to be living my Dream! Today I want to inspire you to Lead by Example. As a Center Owner, I know that it is sometimes almost impossible to get in the classrooms, because you have so much paper work and staff issues to deal with however. However, I want to inspire you to plan to lead by example, roll up your sleeves and get involved in your center. After all, its your Vision and no one can model your vision for your staff and parents like you can. That feedback that I received from that parent awakened me to the power of leading by example and also, it reminded me that our staff and parents are watching what we do as Owners, Providers and Directors. So, I hope that I have inspired you to stay involved, show your staff what you want to see in your Child Care Business simply by Leading by Example. Also, if you have a Dream to Expand or Start-up your Child Care Business, I would love to coach you through your expansion. Anything is possible if you believe in yourself and take action! Furthermore, check out the coaching options below and I hope to speak with you soon. I hope that 2019 brings you much success and lots of kids!! Its been a while since I have heard from you and I would love to hear from you. Simply leave me a comment on this post and tell me how things are going in your Child Care Business. I hope that all is well with you and Your Child Care Business. In fact, I know that it has been a while since you have heard from me, however, I have been busy working on the goals that I have set for 2018. One of the goals that I set for this year was to move to Atlanta so that I can work on a long term goal that I set 5 years ago. It has always been my dream to expand my Child Care Centers into other states and that dream has become a reality. In fact, my Business Growth and expansion has inspired me to launch a website and coaching business that inspires Business Owners to Do Business by Faith. What about you? How has this business year treated you? Have you met any of the goals that you have set? Did you get the same results that you had last year? 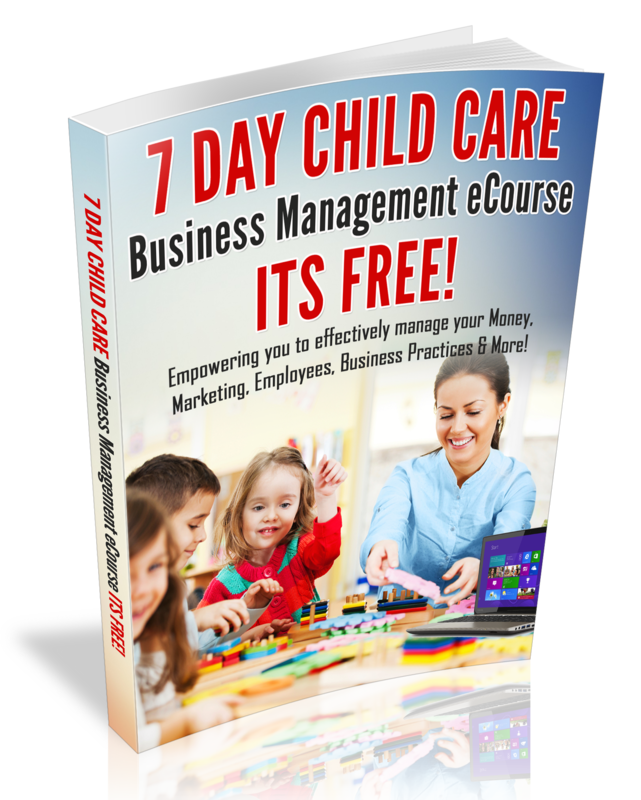 Are you ready to take your Child Care Business to another Level? Ready for Expansion? Ready for something new? Whatever your answers may be, I want to encourage you to take some time to reflect on what you have accomplished this year. Moreover, I want to encourage you to focus on finishing this Business year strong! If you have been following my blog for at least 3 years, you already know that I love to inspire my blog readers to finish the year strong and come into the new business year with a new mindset. Reflect on what you have accomplished this year and celebrate. Reflect on what has not worked for you and learn from it. Evaluate your goals and determine whether or not they are realistic goals. Plan to get organized in your personal life and Business, so that you come into a new year with order and clarity. Join my Doing Business Faith Mentorship Program (End the Year Strong Series). In this program you have receive daily insight for finishing the year strong, weekly empowerment emails that include audio tips and access to 2 coaching calls with me! For more more information, visit www.doingbusinessbyfaith.com. I want to here from you. Leave me a comment below and tell me what you have accomplished this year and what your goals are for 2019!